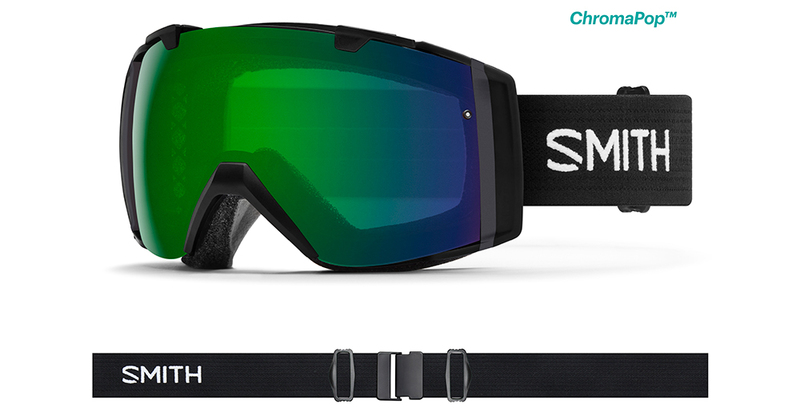 Smith I/O goggle frames have revolutionized the goggle industry again with the addition of next level Smith Chromapop lens options on this already legendary goggle frame! Smith I/O frames revolutionized the goggle industry years ago, and to this day the Smith I/O still remains as one of the very best industry leading goggles available period! The 2018 Smith Goggles collection introduces the Smith I/O Chromapop with all the known performance & tons of style with a bonus Chromapop lens included, go ahead and pick up a pair from Action Sport Optics, an investment into one of the most pinnacle products the industry has to offer from the leading brand Smith Optics. Fit Profile: The Smith I/O Goggle has a recommended fit profile of Med - Large. Frame information: The 2019 Smith I/O uses a flexible polyurethane frame material that is designed to work in unison with different face shapes & sizes. 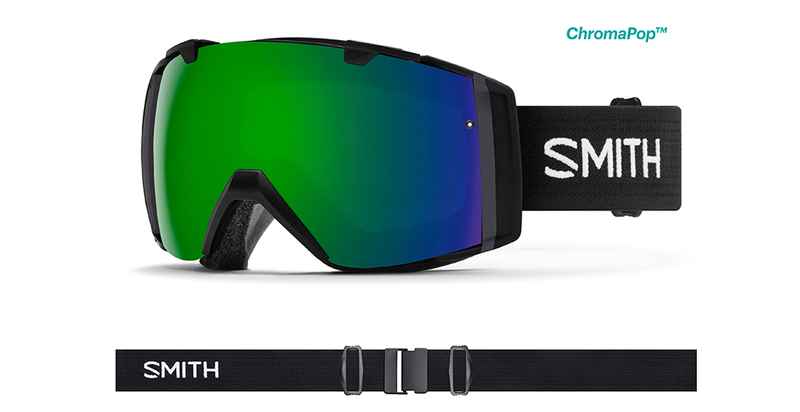 2019 Smith goggles use a unique urethane compound that maintains flexibility even in the coldest of temperatures. Triple layer Dri-Wix face foam comes standard on all high end Smith Goggles and provide a very plush & customized fit. The straps on 2018 Smith I/O are quick release adjustable and are lined with a silicone on the inside to prevent helmet slippage. Lens information: 2019 Smith Goggles provide the most technically advanced lenses in the world that protect you from harmful UVA-UVB-UVC rays. Smith I/O Chromapop have a spherical interchangeable lens that swaps out quickly & easily. The TLT ( Tapered Lens Technology ) lens technology provides perfect vision in all conditions by straightening out the in coming light rays by tapering them from the center out to your peripheral view providing 100% clarity & accuracy. The Hydrophobic lens coating Smith Optics uses is a durable bonded coating that reduces smudges & increase scratch resistance. 2019 Smith Goggles set the standard with their Carbonic-X Lens which meets ANSI Z80.3 lens quality standards, there simply is no better lens available. Smith IO Chromapop Goggle Lenses information on: Smith Chromapop lenses deliver the super lens of the future with revolutionary technology that puts Smith in a class of its own. Smith Chromapop is engineered to deliver the ultimate in clarity, protection, impact resistance& when you purchase Smith I/O Chromapop you are investing in the best lenses that the industry has to offer with the ultimate in clarity & protection from harmful UVA UVB UVC rays. ChromaPop Photochromic Rose Flash: 30-50% VLT transition range, tint changes automatically with changing light conditions, the ultimate multi tasking lens! Bonus Lens Included: Yes, every Smith I/O Goggles comes with a bonus lens included. Your based are covered with 2 lenses for both sunny & low light conditions.